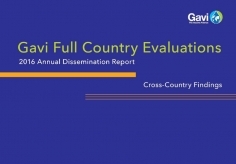 The Gavi Full Country Evaluations (FCE) are prospective studies covering the period from 2013 to 2016. They aim to understand and quantify the barriers to and drivers of immunization program improvement, with an emphasis on the contribution of Gavi, the Vaccine Alliance in four countries: Bangladesh, Mozambique, Uganda, and Zambia. The evaluation is funded by Gavi, the Vaccine Alliance. The Gavi FCE is a mixed-methods evaluation, examining country immunization programs from inputs to impact. This evaluation effort represents an important shift toward focused, forward-looking, and in-depth monitoring and evaluation activities that take into account the evaluation needs of country-level immunization programs. 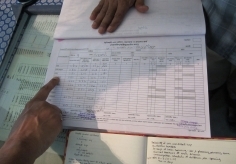 The evaluations are collecting data and conducting analysis at the national and subnational levels. This approach permits a more distinct examination of factors that influence successful program implementation and allows for a more informed understanding of the relationship between Gavi support and downstream indicators such as immunization coverage and child mortality. Read the latest policy reports and research articles produced by the Gavi Full Country Evaluations project.